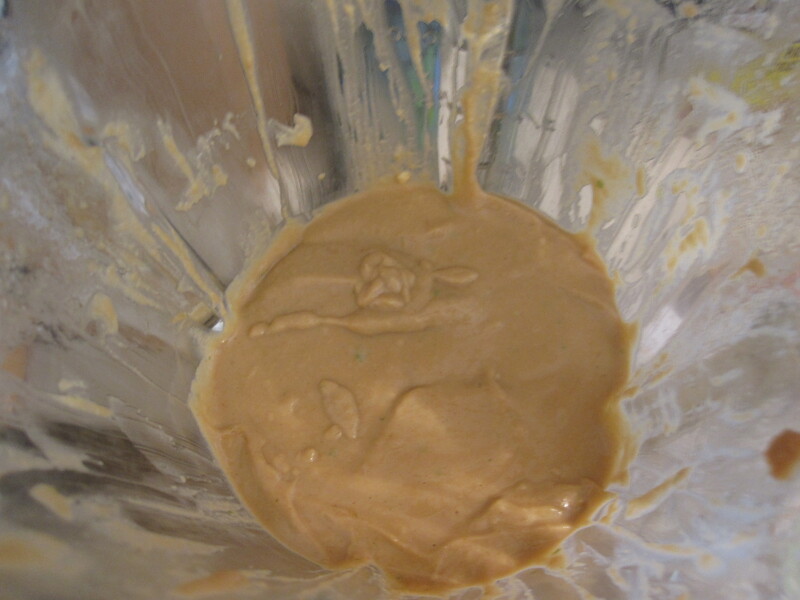 We have made fresh Caesar dressing before and it was a huge hit. The one difference this time was using chopped canned anchovies instead of anchovy paste. 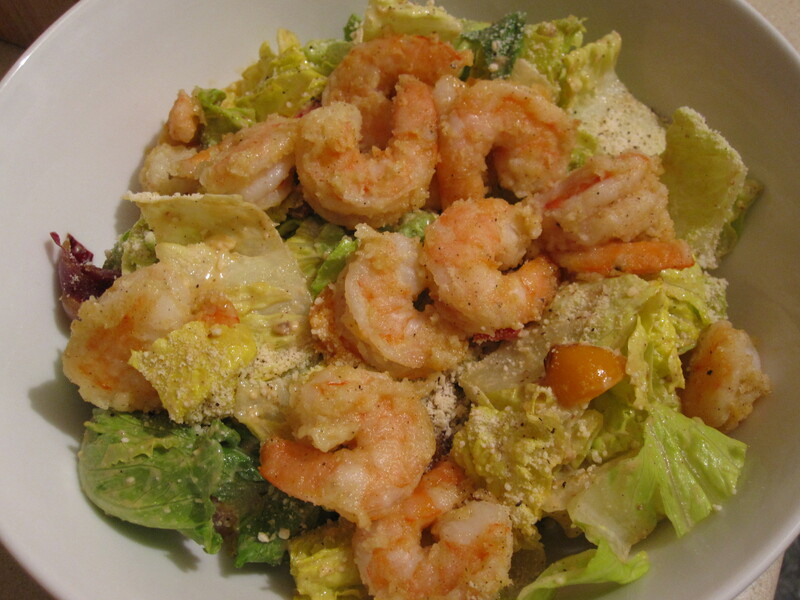 I lightly floured and baked some shrimp and placed it atop sauteed veggies for a light and summery dinner salad. 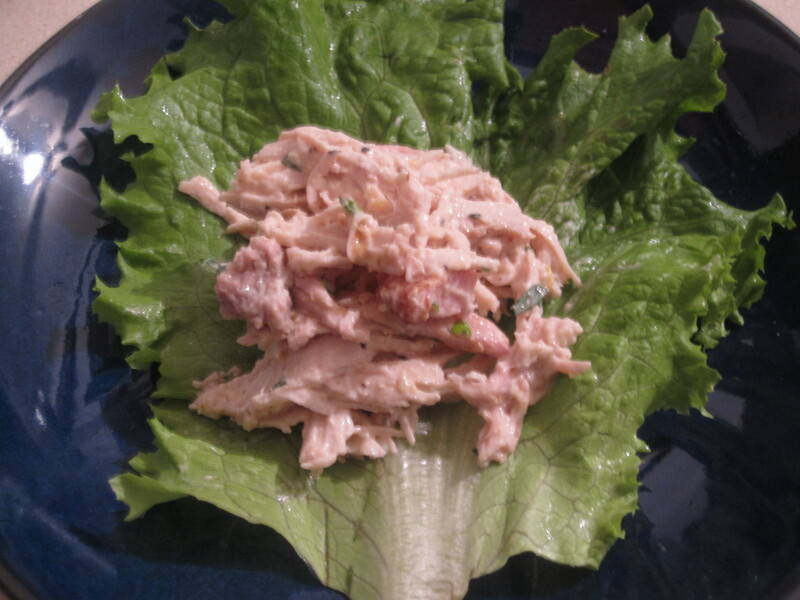 This would also be great to serve in a large quantity at a party or dinner. For Christmas eve Greg and I were asked to bring a salad and veggie option to our family party. I thought it over and decided to make a homemade caesar salad, with fresh made dressing and croutons. Homemade dressings make such a difference. 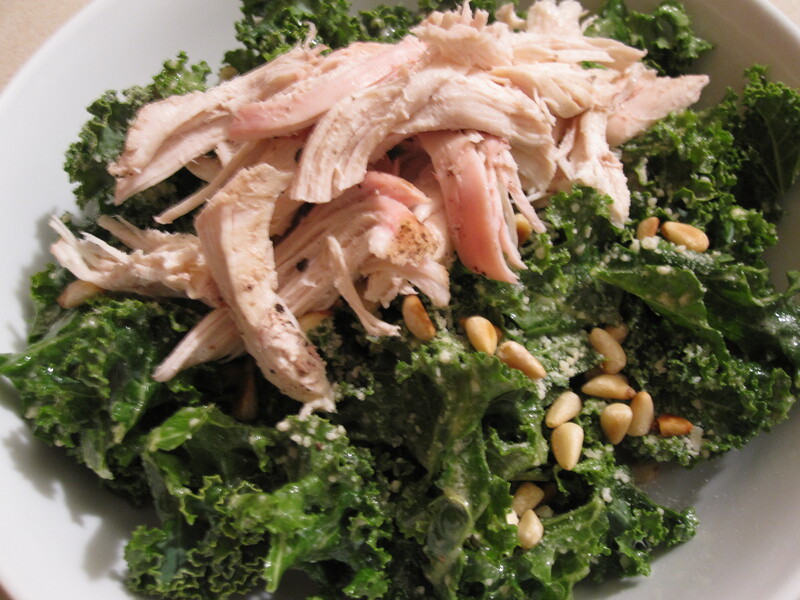 You can taste each ingredient and they are just far superior to any bottled dressing you find in the grocery store. 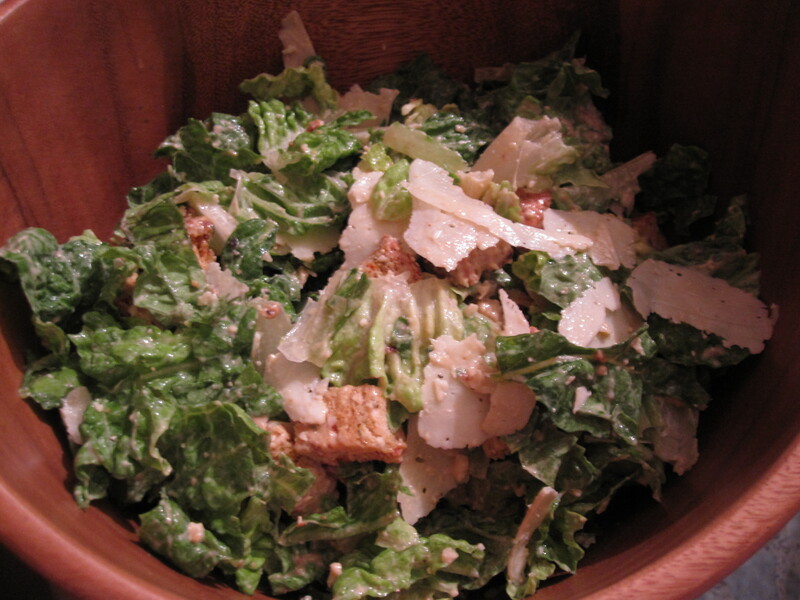 Making caesar dressing was easy and and the outcome was delicious! 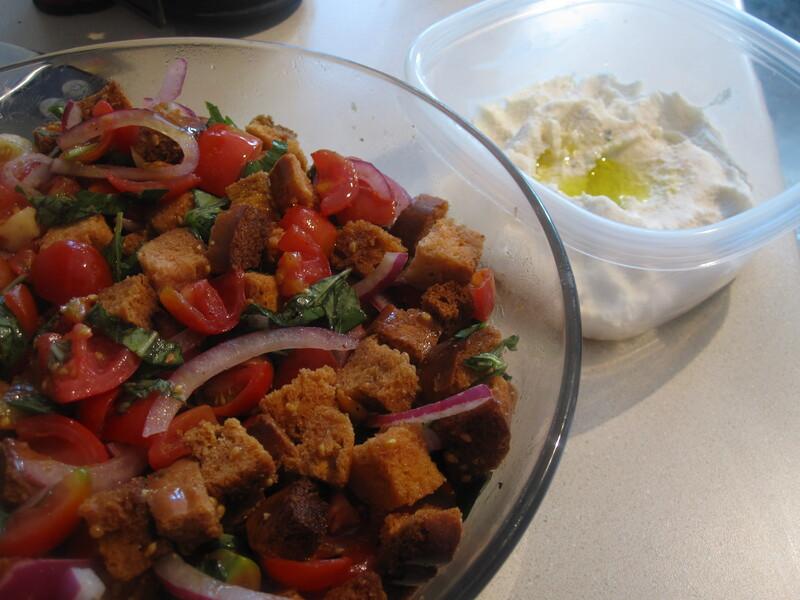 Greg got a loaf of bread from Mancini’s- tomato basil bread to be exact- and I made croutons with it. I don’t see any pictures of them on my camera so I guess I forgot to snap a few. Croutons are easy to make. I cut the bread into small cubes and placed them on a lined baking sheet. I brushed the pieces of bread with olive oil and baked them at 350 degrees for about 8-10 minutes. Keep an eye on them so they don’t burn. I got a package of tarragon for some inspired recipes so this will be one a of a few upcoming tarragon features. 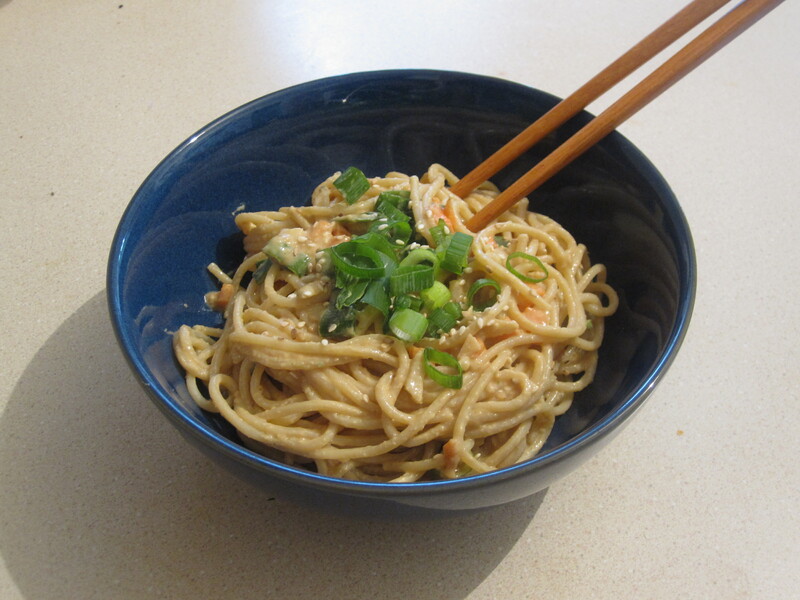 We were heading to a family Labor Day cookout and decided on this cold sesame noodle salad. I guess it’s not the most American dish for Labor Day, but it worked out just fine. 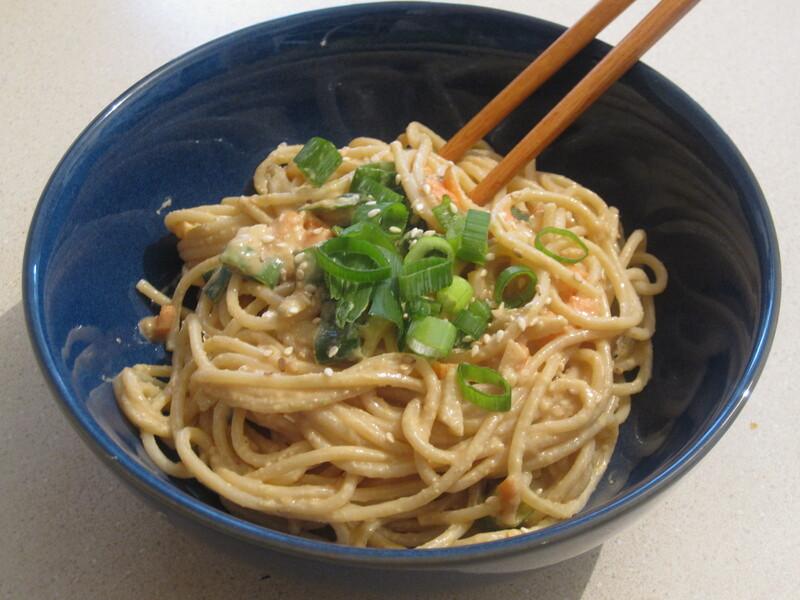 Cook the noodles and run them under cool water. 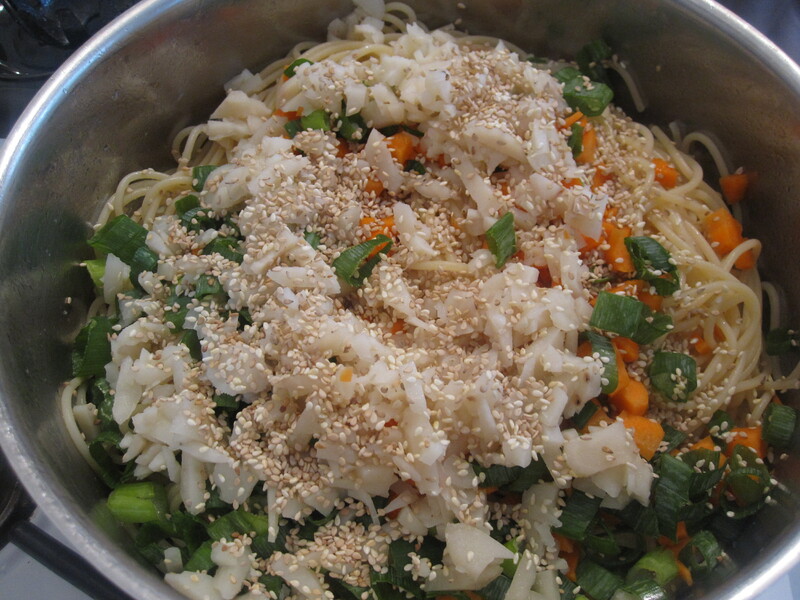 Then toss with sesame oil and set aside until the sauce is ready. 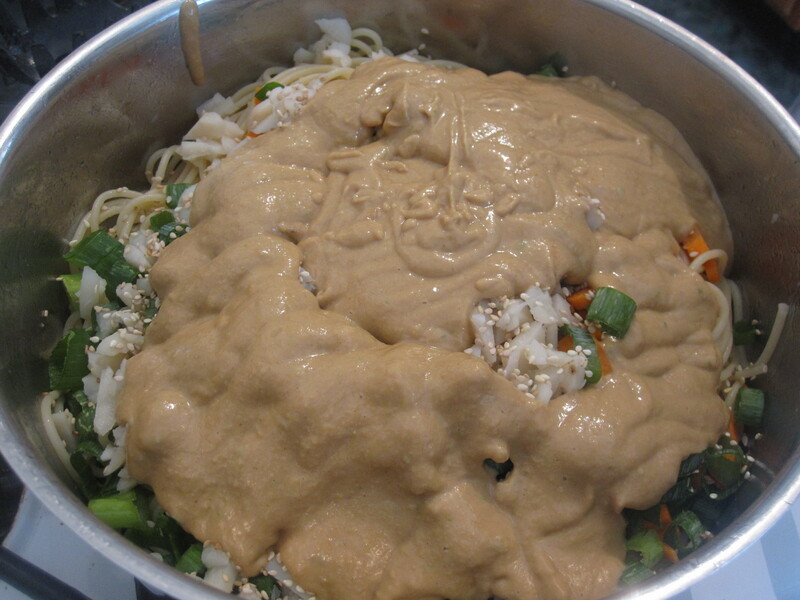 The sauce was a blended combination of many ingredients that was then tossed with the cool noodles. These did not go into the blender, but were tossed with the noodles and sauce. Once the sauce is prepared, veggies are chopped, and noodles are cooked and cooled, combine all ingredients and chill before serving. Greg and I were invited to a family BBQ and knew we wanted to bring something good for a side dish. 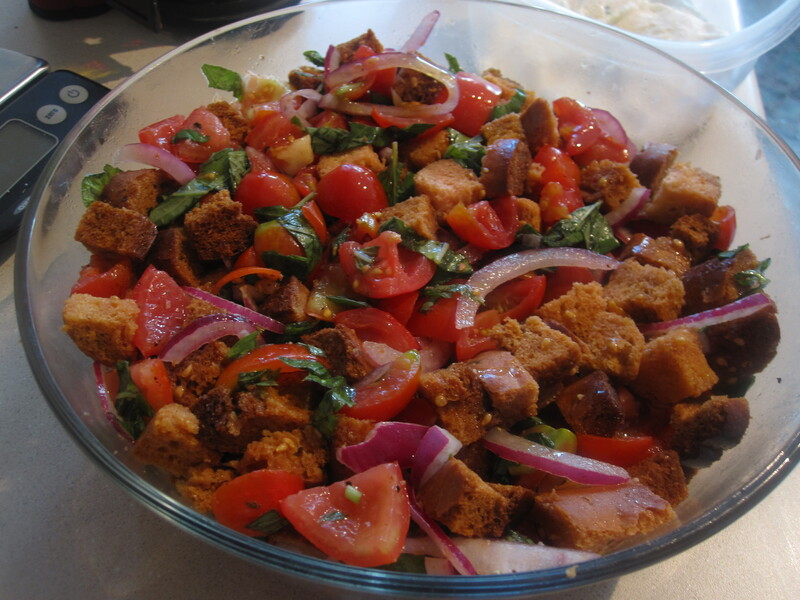 We remembered a great dish that Ash brought over one time, tomato panzanella salad, and decided it would be the perfect thing to make. You can find the recipe here on Ash’s site (I didn’t alter it much as you will see). We bought the tomatoes at a local farmer’s market. 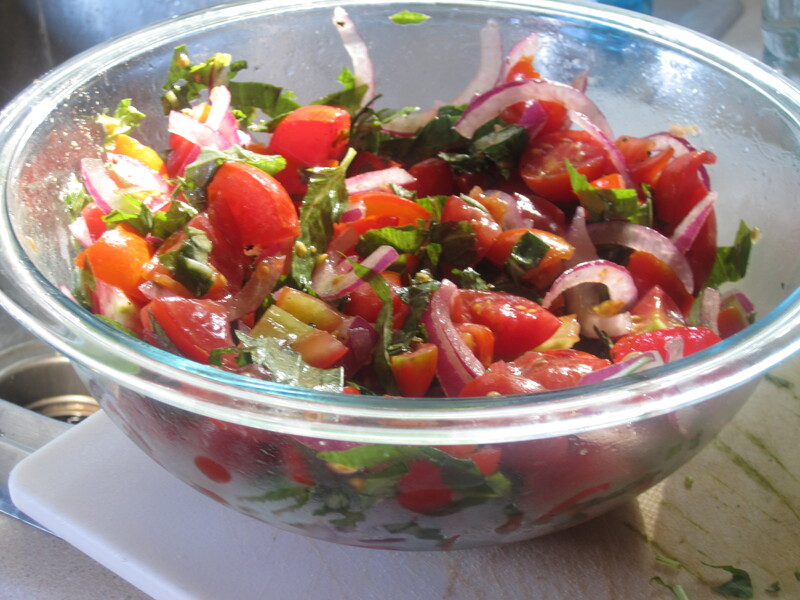 Obviously for this dish the quality of the tomatoes can make or break it. 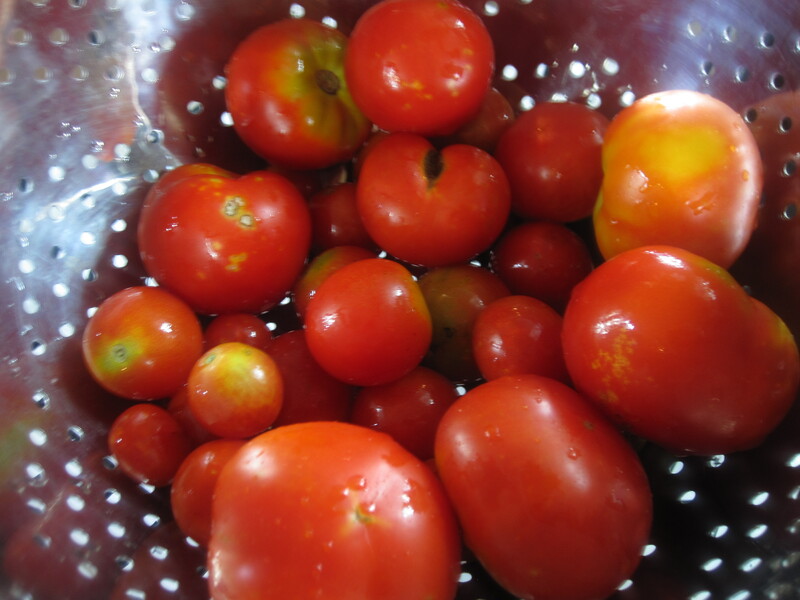 I was so happy to get these tomatoes. As imperfect as they look, they tasted great! 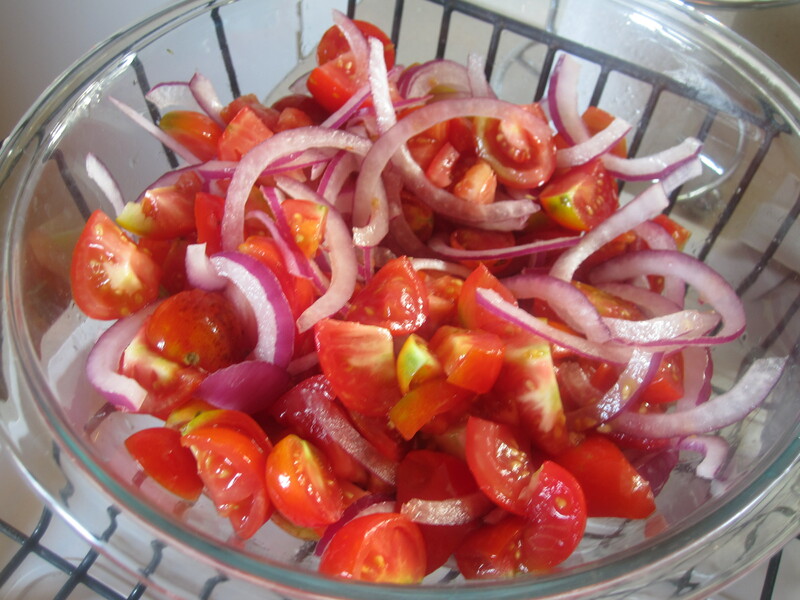 I cut the tomatoes and added some thinly sliced red onion. I actually completed this step the night before the BBQ, as I knew I would be facing some time restrictions the following day. Similar to the importance of using good tomatoes for this dish, the quality of the bread is also something to be mindful of. We picked up a french baguette from our favorite place on Earth, Pittsburgh’s strip district (wahoo! ), the day before the BBQ. 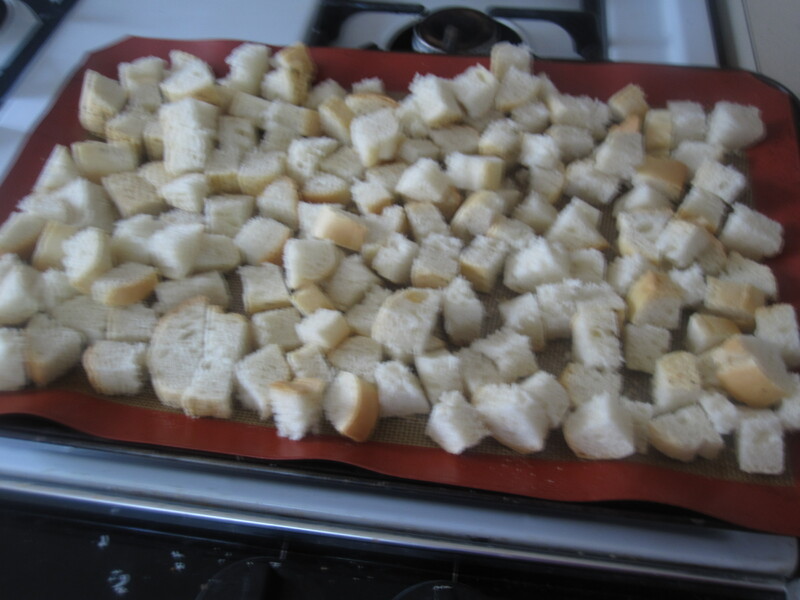 On the day of the BBQ I cut the bread into bite-sized cubes (slightly larger than croutons) and baked them for 20 minutes. 20 minutes was about 2-3 minutes too long and some of the pieces were a little too baked for my liking. I recommend keeping an eye on them after the 15 minute mark. Sorry for the blurry pic! You can get a sense of the size though. 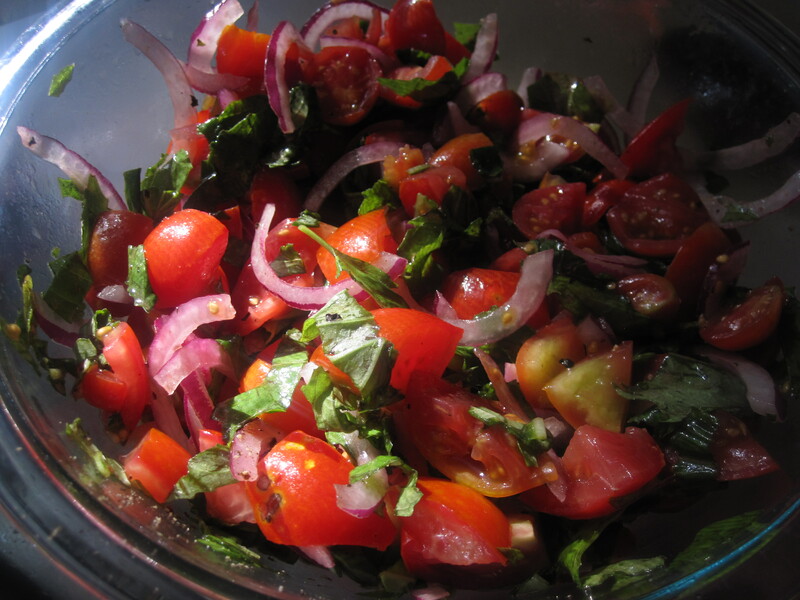 While the bread was baking I assembled the rest of the dish by adding fresh basil, olive oil, red wine vinegar, and salt and pepper to the tomatoes and red onion. I just love all the colors in this dish! Once the bread is done baking it gets added to the salad. 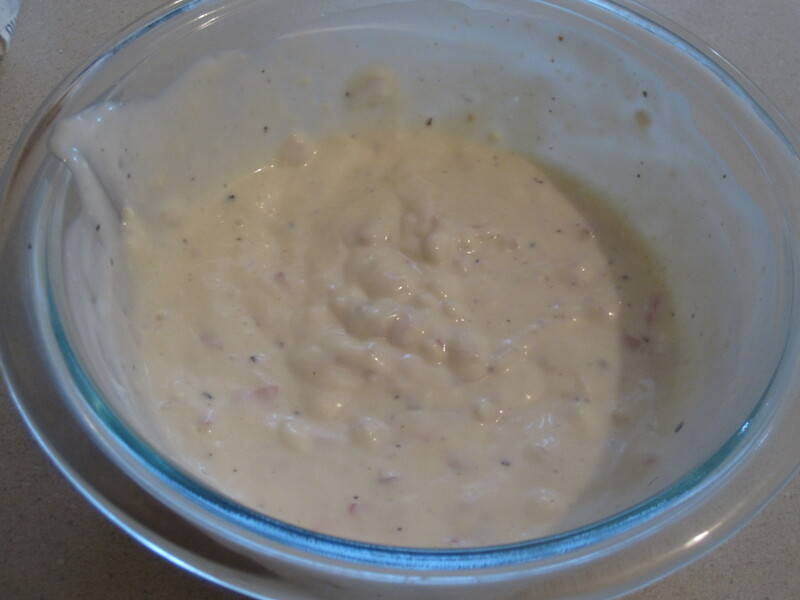 You want it to absorb moisture from the dressing and tomatoes while still maintaining some of it’s crunch. The final step in making this salad is to top it with ricotta cheese and a little olive oil. 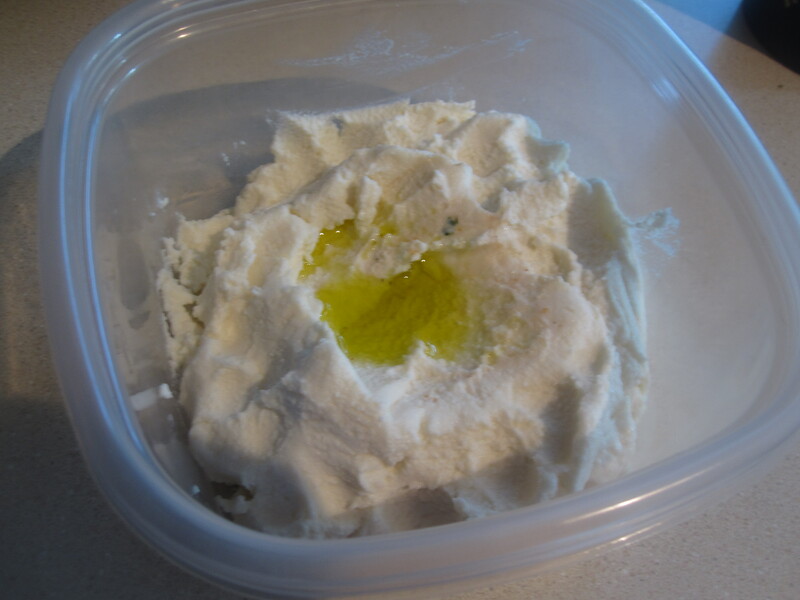 Since we were transporting this dish to another house I felt it would be best to keep the ricotta and olive oil in a separate container prior to serving. Before dinner was served the ricotta was placed on top of the salad. Overall, this was a true crowd pleaser! I received several compliments on the dish and answered some questions about it too. People seemed to really enjoy it and want to recreate it themselves. 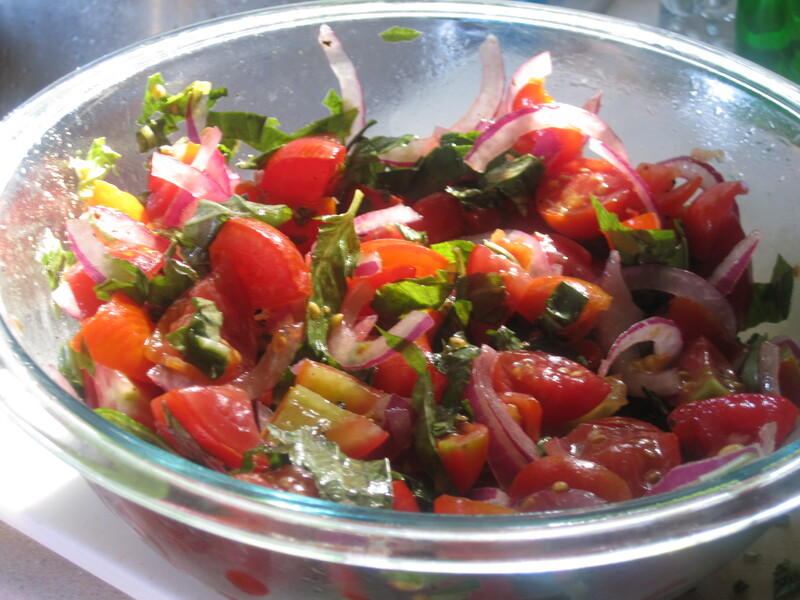 Take advantage of the Summer tomatoes while they last! Hope you like this one. This is our first Kittened dish in Pittsburgh and we have been discovering that food is very cheap. 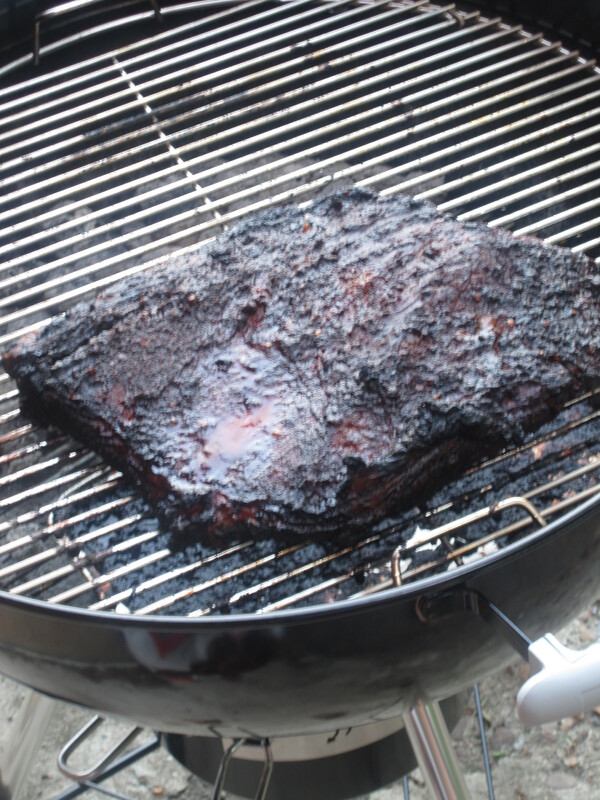 This was a 9lb cut of brisket for $30, and that was not a sale. Plenty more to come on the great deals found. 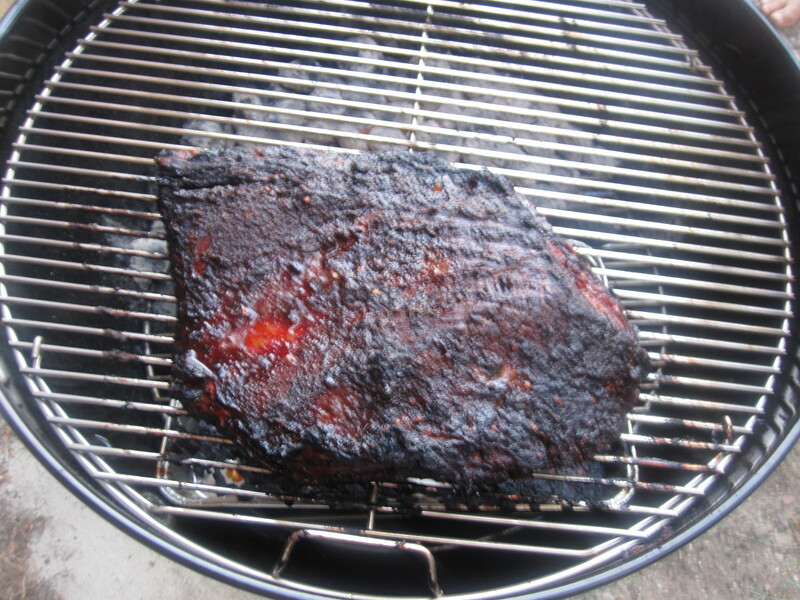 I smoked this similarly to the pork shoulder a bit back. Slow cooked over indirect heat, but this time it was cooked as the debut dish on our new charcoal grill that we got for our wedding (thanks Mo and Stosh). 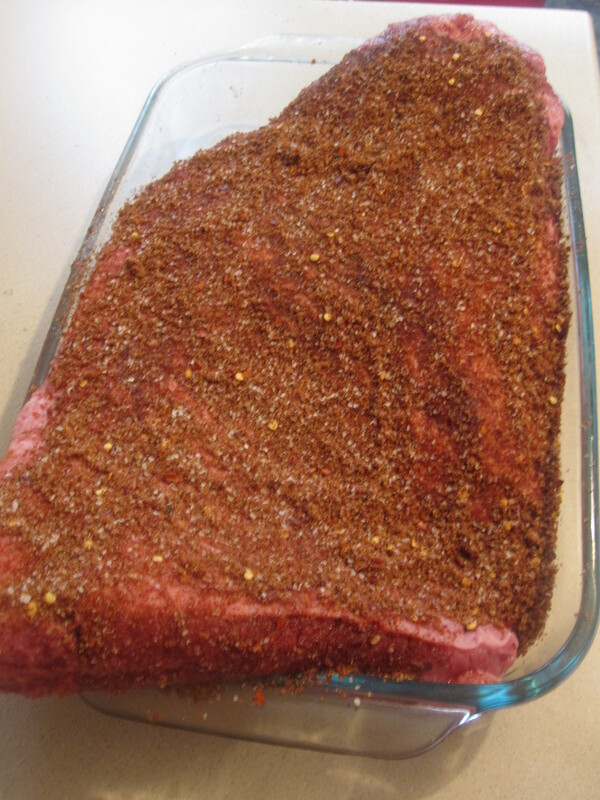 Started with a quick made rub. As similar to the pork, I started the grill with a large pile of charcoal and once it was ashed and ready, it was moved and kept to one side. I also used a store bought foil baking dish as a drip tray below the meat to limit the mess and possible flare up. The grill will never look like this again. Now a lot of waiting. 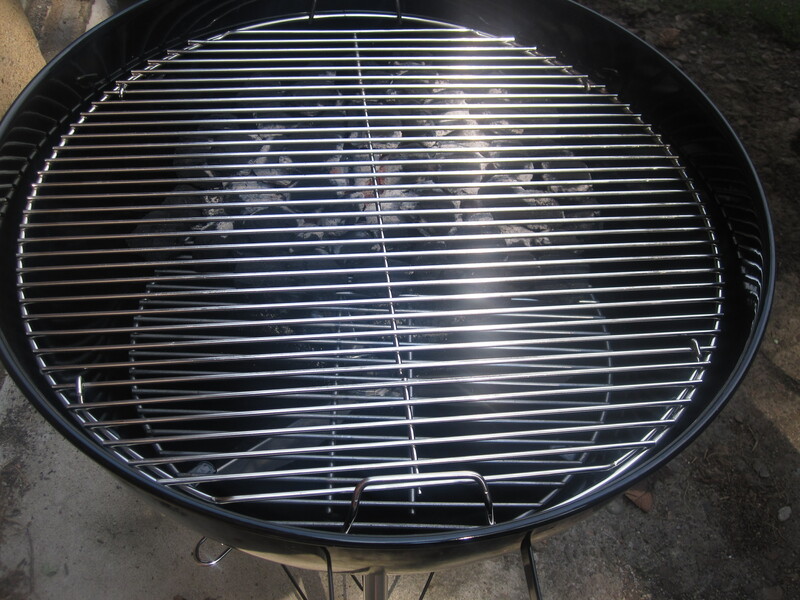 The grill was covered with the below air intake about halfway open and the lid air intake also about halfway open. 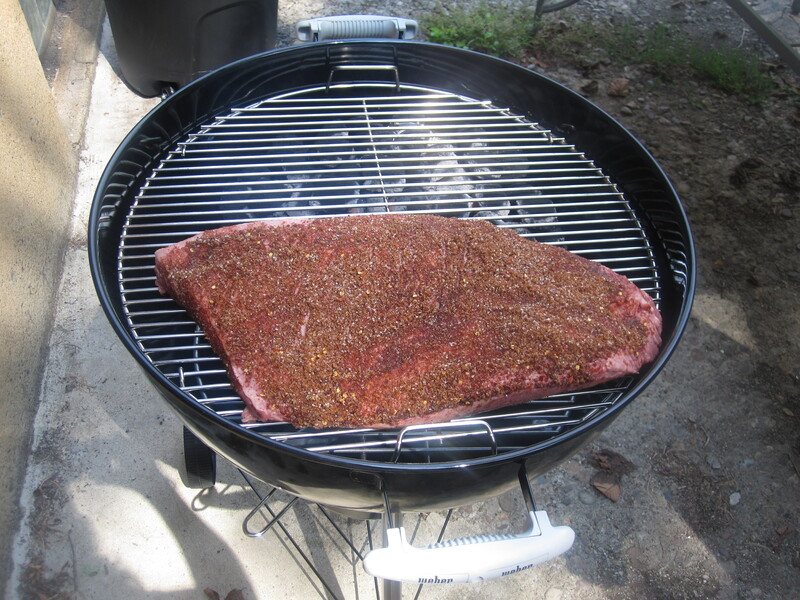 The lid intake was placed over the meat, opposite the coals so that the heat and smoke are forced to go around the meat in order to escape. 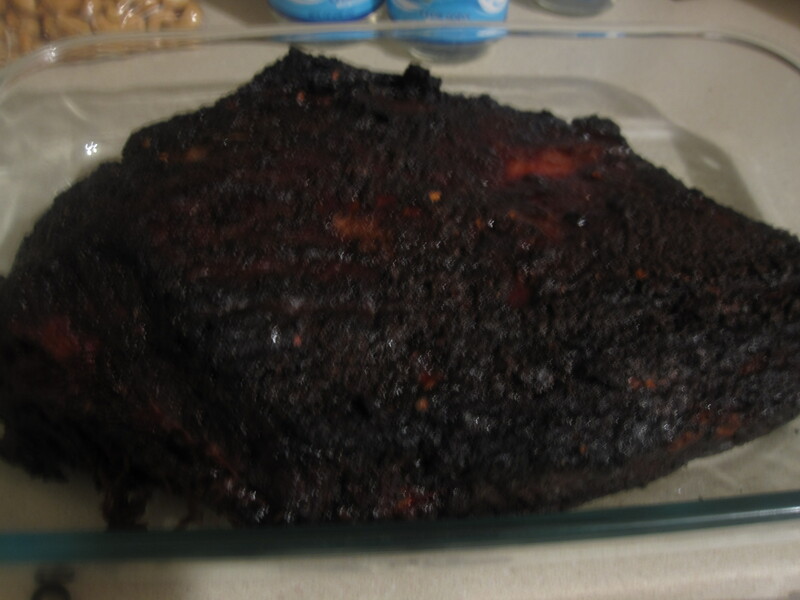 The brisket cooked for about 5 hours total. Here is is about halfway through. I turned it about every hour to alternate the side facing the heat. And after all five hours. 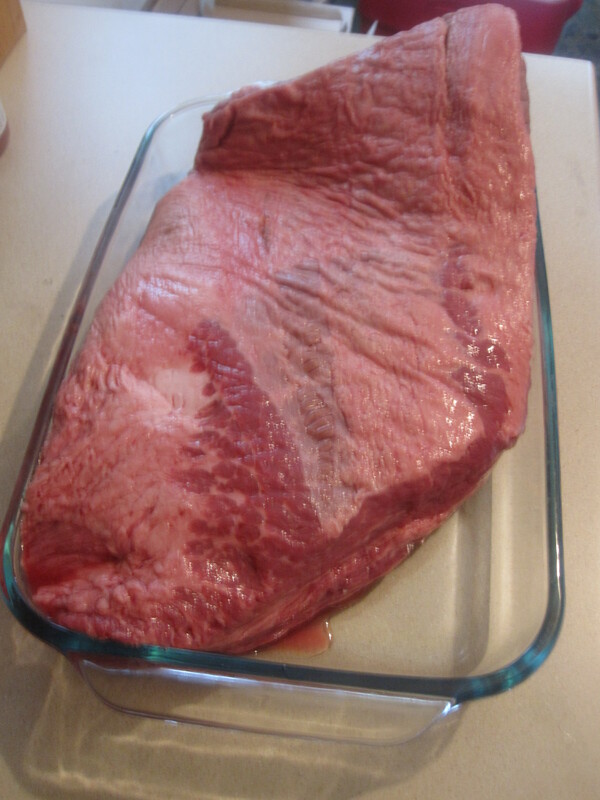 Allow the meat to sit for 15 minutes or so before slicing and always slice against the grain. It would be great to have a deli slicer here, but that is a bit excessive! Hey guys, Eileen here. I am going to fill you in on the sides, which I was responsible for making. In addition to the brisket, we served a simple horseradish sauce from all recipes (sorry, no pictures of it) and a broccoli slaw from Smitten Kitchen. 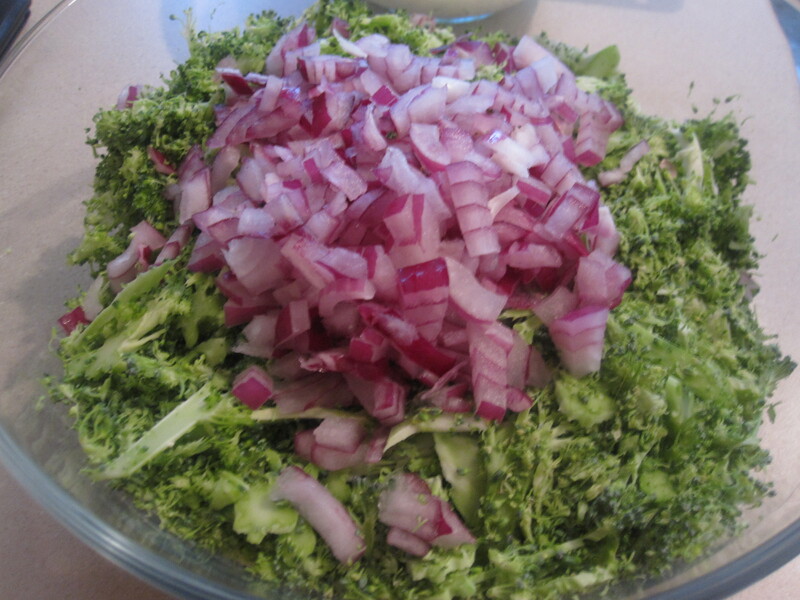 I have made this broccoli slaw once before for a cook out and people seemed to like it. 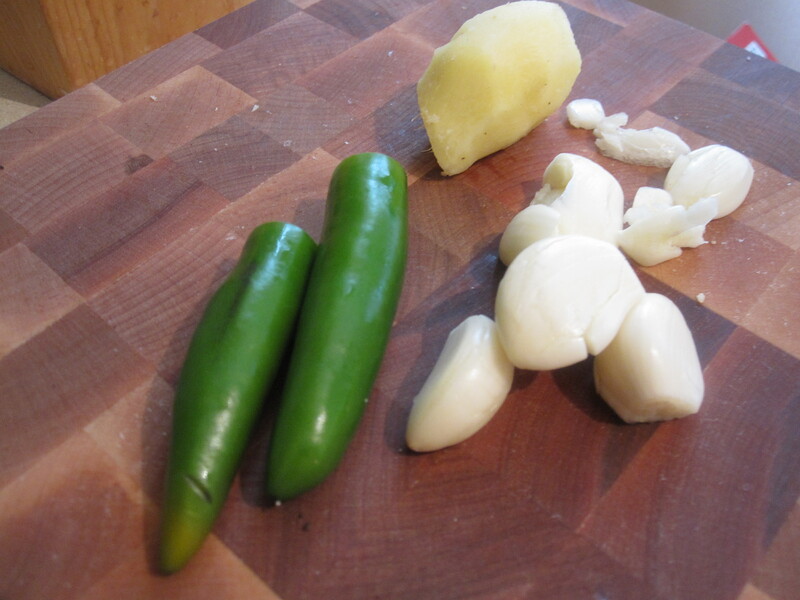 I decided to make it again, figuring it would be a nice complement to the meat and tangy horseradish sauce. 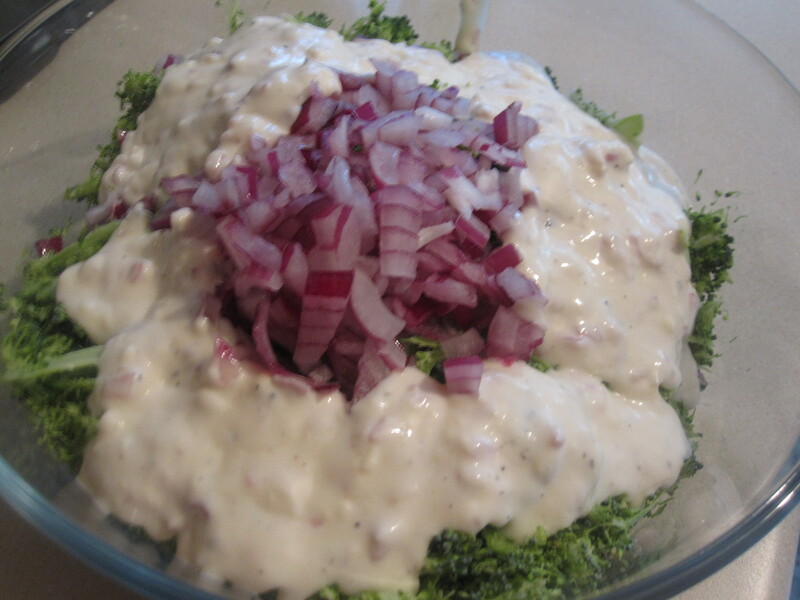 First, I made the dressing for the slaw, which is composed of buttermilk, mayonnaise, cider vinegar, sugar and shallots. Give it a good whisk and set aside. Next, it is time for the broccoli. I used the slicing blade on my food processor to cut the broccoli for me. 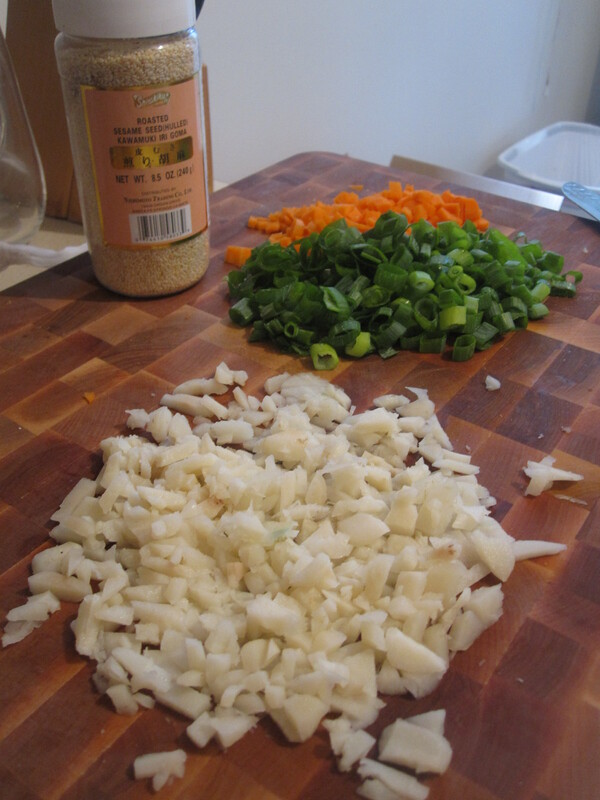 This method is a major time saver and produces pretty uniform slices of broccoli. 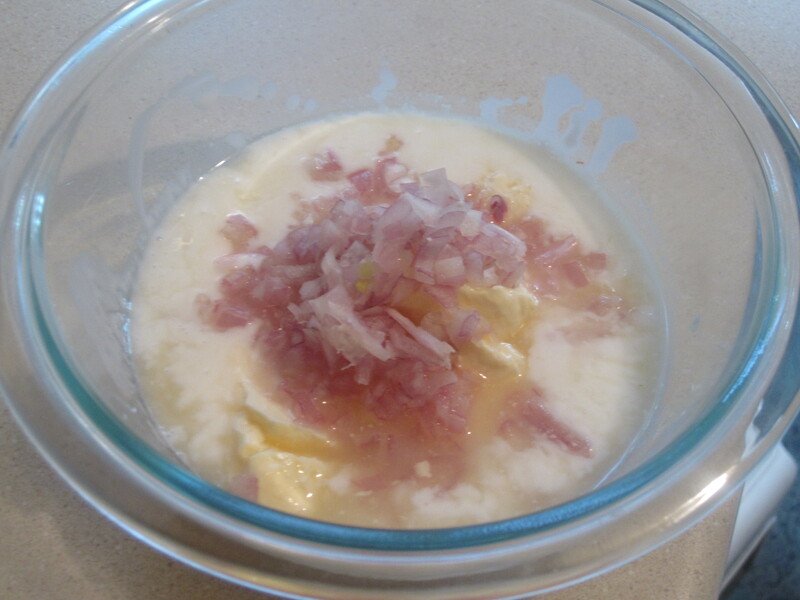 Here it is pictured with chopped red onion as well. 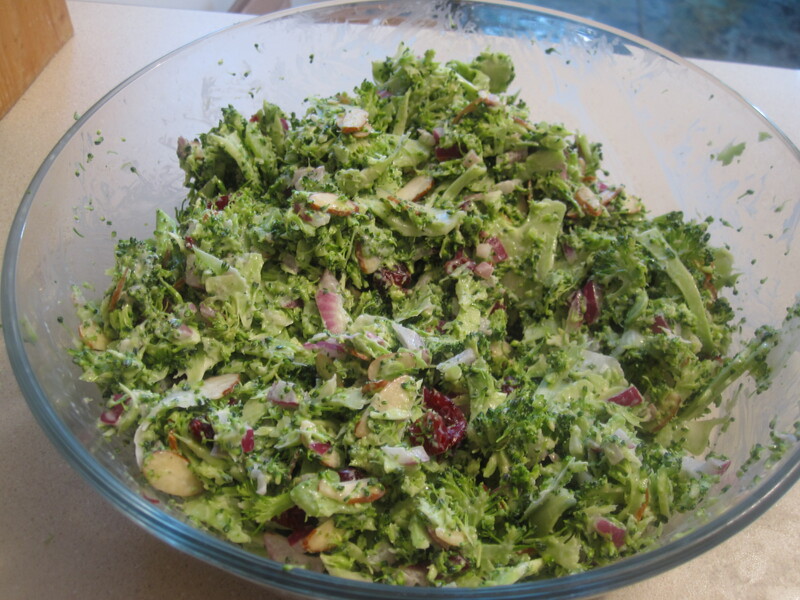 To this, I added dried cranberries and sliced almonds and eventually the dressing. 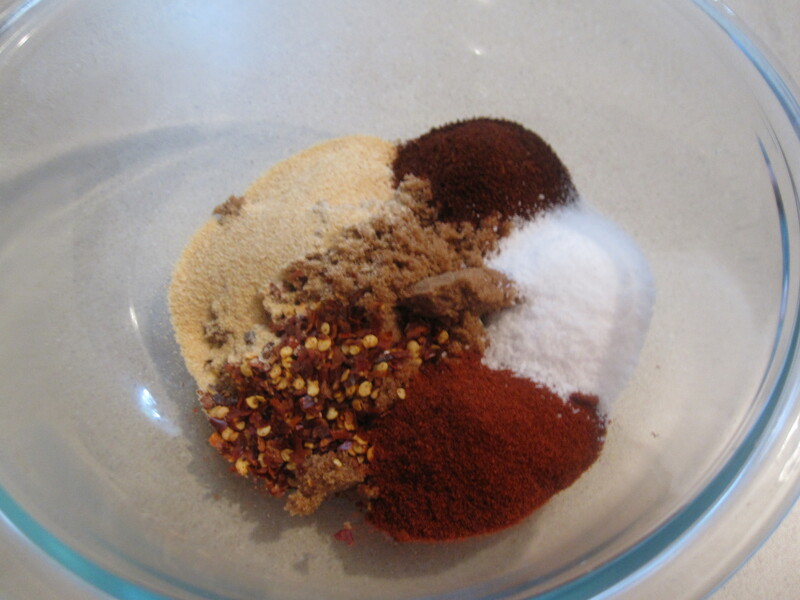 Give it all a good stir and let it sit in the fridge for an hour or so before serving. It’s a great slaw and a bit different than your typical cabbage slaw. If you are looking for something new to have or bring to an event this could be it! The crunch of the broccoli with the tartness of the cranberries and the sharpness of the red onion are all tamed by the buttermilk sauce. 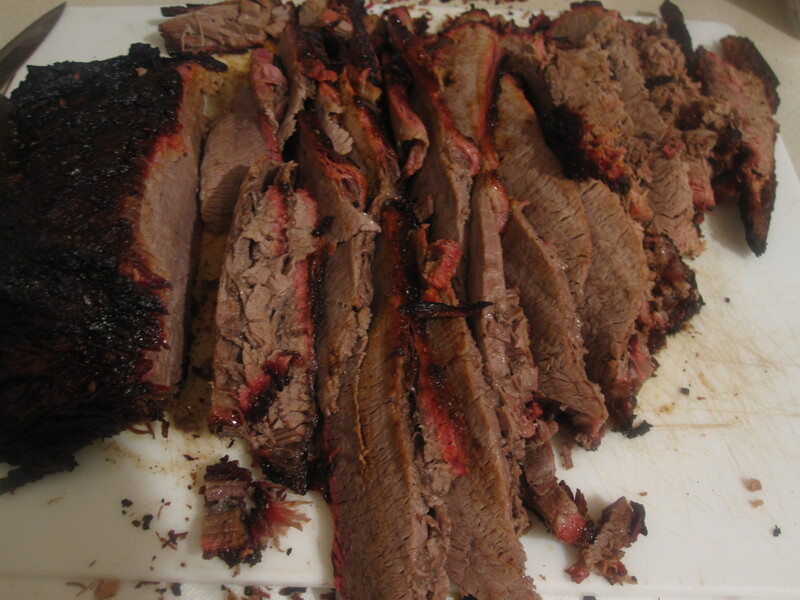 It was a great compliment to the brisket too! All in all, this meal was delicious! We were very happy with the final product and our guests seemed to be too.